Half Dome is a granite dome at the eastern end of Yosemite Valley in Yosemite National Park, California. It is a well-known rock formation in the park, named for its distinct shape. A 29-year-old Indian national fell to his death while ascending Yosemite National Park’s famous Half Dome trail, the US National Park Service has said. Asish Penugonda, who lived in New York City, was hiking with friends up the steep north side of Half Dome in the park when he slipped from the cables and fell to his death, his roommate and close friend was quoted as saying by the Mercury News. The hiker was on the trail’s Half Dome cables, the park service said in a statement. He was hiking with another person during thunderstorm activity around when he slipped and fell. The cables take hikers up the last 400 feet to the summit of Half Dome, which rises nearly 5,000 feet above California’s Yosemite Valley. Park Rangers were notified that the hiker had slipped and fallen from the popular hiking route, the statement said. Rangers arrived on the scene and provided assistance to the second hiker. The Yosemite National Park Rangers recovered the victim’s body last Tuesday. Asish was a graduate of Fairleigh Dickinson University and worked as a biochemist with Siemens Healthcare, New Jersey. He was a native of Andhra Pradesh. His friends have created a ‘Go Fund Me’ campaign to help pay for his funeral in Fremont, transport of his body home to India, and assistance to his mother and elder brother, the report said. 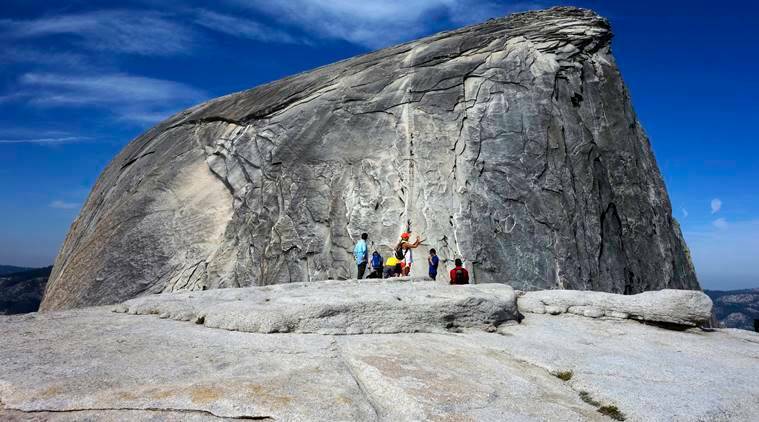 This is the first fatality since 2011 from the cables up the granite dome and the first visitor fatality in 2018, according to information from Yosemite National Park. Half Dome is a granite dome at the eastern end of Yosemite Valley in Yosemite National Park, California. It is a well-known rock formation in the park, named for its distinct shape.